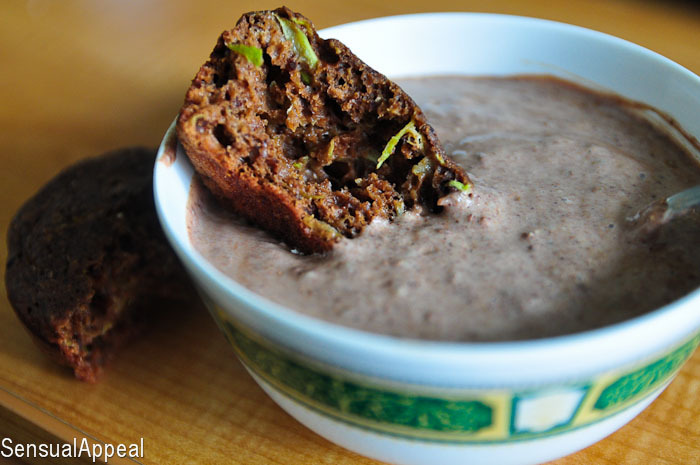 This protein pudding is super easy to make and I make it all the time – I like to use it as pudding by itself or as dip for muffins. I randomly made this protein pudding. I didn’t realy know what to expect out of it but oh man, I have been addicted to this creation ever since. 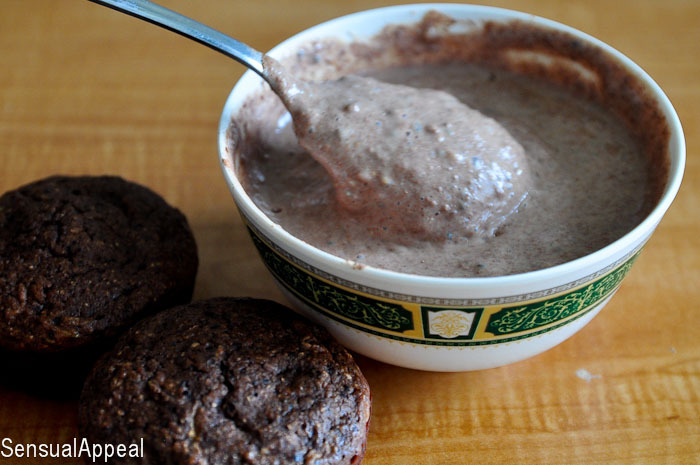 It works especially well with the chocolate zucchini protein mini muffins I made a while back (yeah, I’m only now finishing them – the beauty of baking and cooking for one person). I don’t usually like eating muffins or anything alone. I felt like these muffins definitely needed something on the side. I ate it with plain yogurt a few times but I ran out of yogurt and purchased organic kefir recently so I thought I would use that. The consistency of kefir by itself is pretty liquidy and it was too liquidy for me to use as a dip for the muffins. So I thought I should thicken it up. Plus, since I always get the plain flavored ones, flavoring it up wouldn’t be a bad idea either. Out came this addicting delicious pudding. Packed with protein. So good! 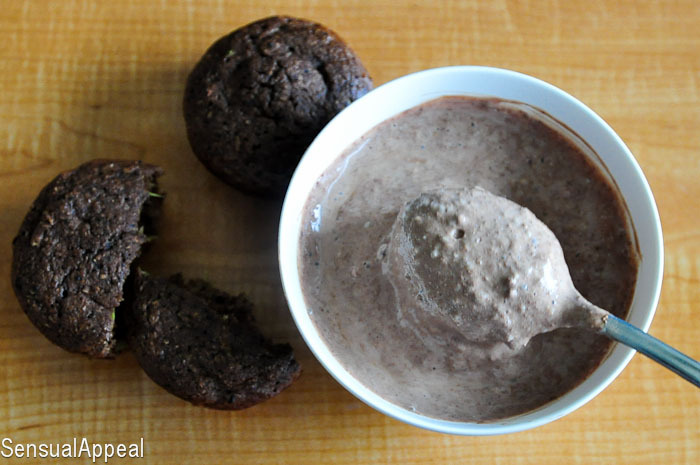 Works especially well with my chocolate zucchini protein mini muffins. Nutritional Facts: ~260 calories, 28 g protein! Do you like to put add-ins to your yogurt concoctions? What would you like to use this pudding with, as a dip? Your on a chocolate protein kick! I love it! Going to try your dip, it sounds yummy!! I bet it would too 🙂 I’m glad you like the idea! We are so on the same wavelength! I recently discovered PB2 and I’ve been making something really similar with coconut yogurt. It’s so good and completely satisfies my sweet tooth. I love a good protein treat! Oh my this pudding looks so scrumptious. I love all of the healthy ingredients you used. Thank you so much for sharing this great recipe on Allergy-Free Wednesdays! OMG, I am making this tonight!